If dogs could be professional models, then Calvin would be a highly-paid superstar! 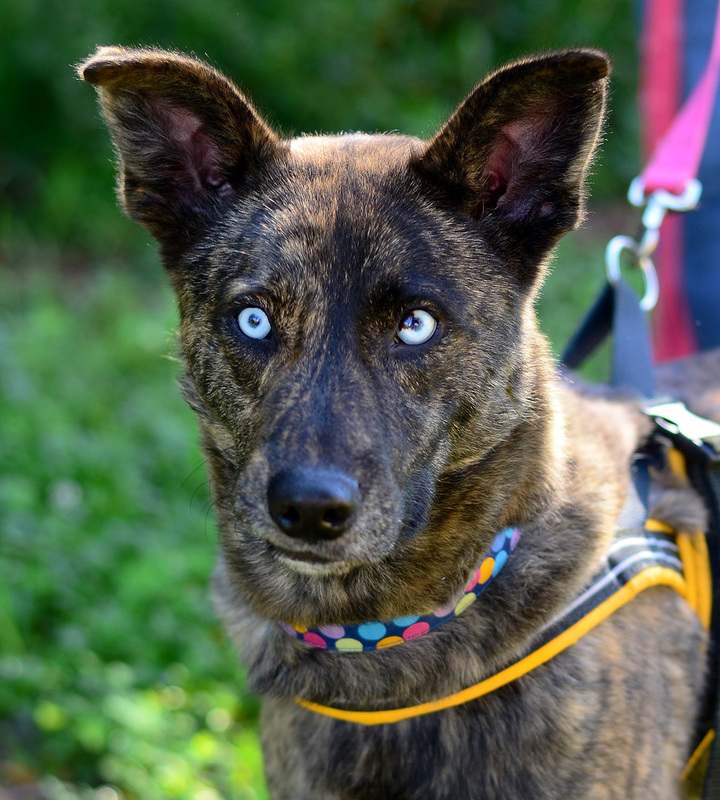 With his striking slate blue-colored eyes and luxuriantly soft brindle fur, this 2-year-old Shepherd mix catches ?everyone’s attention. ?Although he resembles a Dutch Shepherd, his heritage is not 100% confirmed. What is known is that his DNA mixture has created a perfect pooch who is as sweet and silly as he is ?stunningly handsome. ?P?roof of his silliness is that his most favorite things in the world are his toys. “There is never enough time in the day for play,” he says. Calvin ?is a great walking or running buddy and his playful antics will surely keep you and your family entertained? for many years to come?. Susie Q can be described in two words: love, people. She loves people! She loves being around them, sitting on or with them, being petted by them. She’s the perfect pick-me-up friend who ?holds no judgment of others, only acceptance. She gets along with other cats but, to be honest, really loves people. This beautiful?, stocky? gray tabby is two years old is always on the move looking for new people friends. Once one has been found, she perches happily on their lap or lounges in their arms, blissfully purring? a sweet love song?. 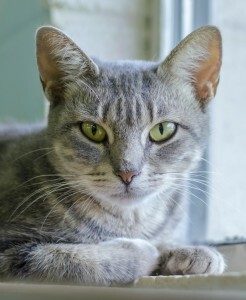 Susie Q would be great for any kind of family, large or small, with children or without, as long as she’s allowed to be with people.